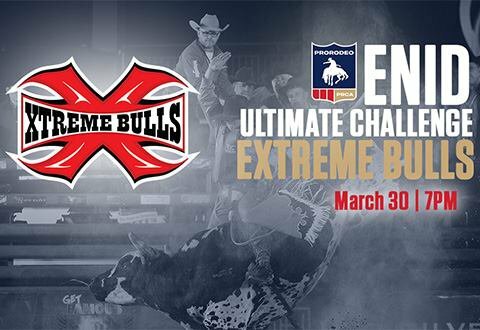 Come see bull riding at its best at PRCA Xtreme Bulls Ultimate Challenge in Enid. Hosted by Central National Bank Center, this high-energy riding event is sanctioned by the Professional Rodeo Cowboys Association (PRCA) and will be packed with edge-of-your-seat thrills. Come to Enid to browse vendor booths and enjoy family entertainment and concessions while you cheer on the top cowboys and rodeo clowns during this anticipated riding event in Oklahoma. $20-35 While every effort has been made to ensure the accuracy of the pricing listed above, prices are subject to change without notice.